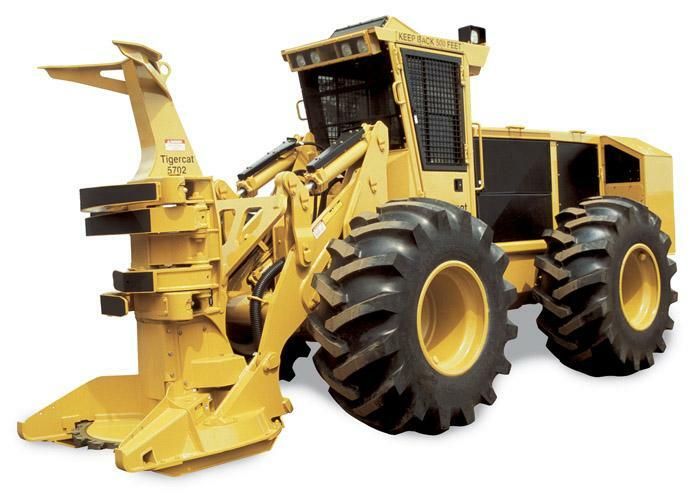 Southern Loggin’ Times’ August issue spotlights West Virginia’s young businessman Tom Cogar, who brings mechanization to the mountains with his five versatile logging crews. Diverse operation also includes a pair of roadbuilding crews and a large trucking fleet. Also featured are Arkansas’ R.D. 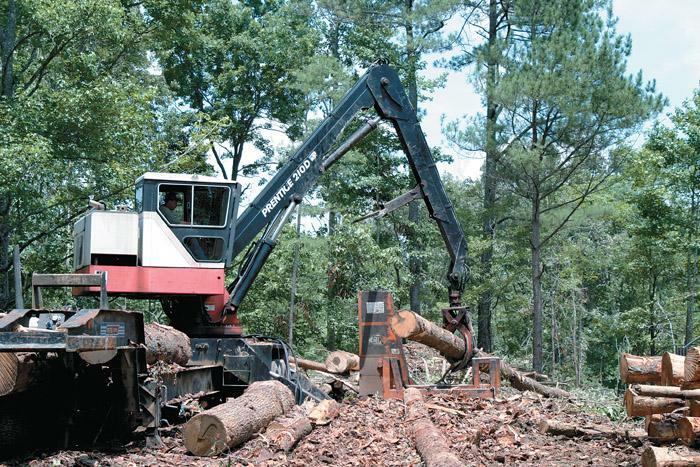 Jones Logging, which reacts to resource and market changes, and Bowater’s southern pine sawmill in north Alabama, which has been running strong for 28 years. South Carolina logger Fred E. Harmon is highlighted for perfecting the art of watching his dollars to make cents. Tennessee’s Gary Montgomery is featured for developing what his father started and balancing logging and lumber operations. Once again, R.D. 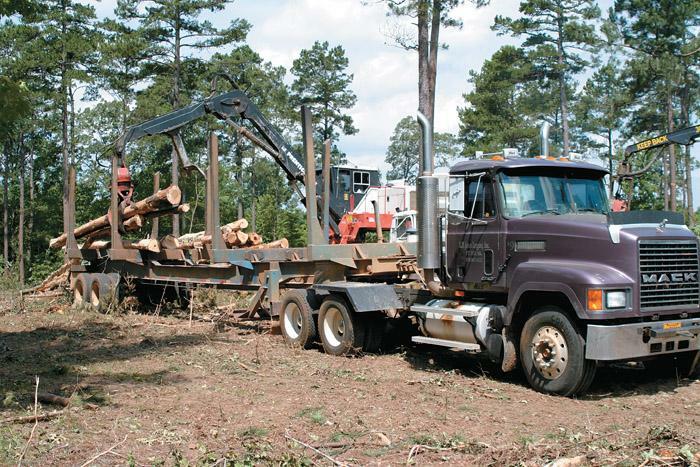 Jones Logging is going through a transition—though this one may be more subtle and less obvious than the evolution of equipment hydraulics or overall mechanization that current owner Rob Jones’ father and grandfather dealt with. Plant Manager Al Wiggins acknowledges that Bowater’s Albertville Sawmill has usually been a follower rather than a leader when it comes to installing new technology. 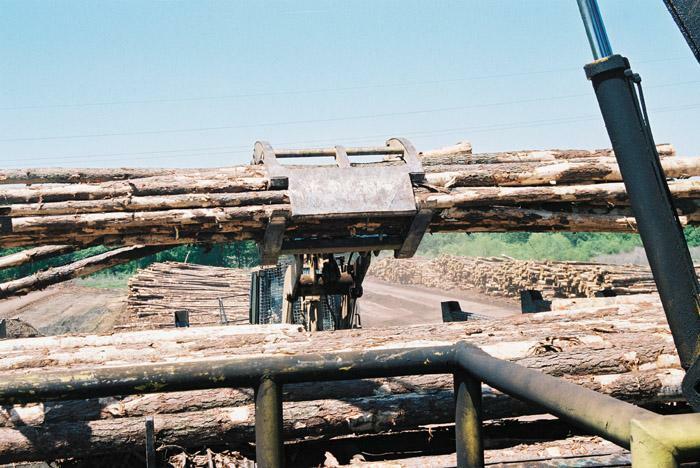 That is, Bowater has preferred to let other mills work out the kinks before bringing the technology into its southern pine lumber operation here. Third generation logger Fred E. Harmon has learned how to survive the tough times. 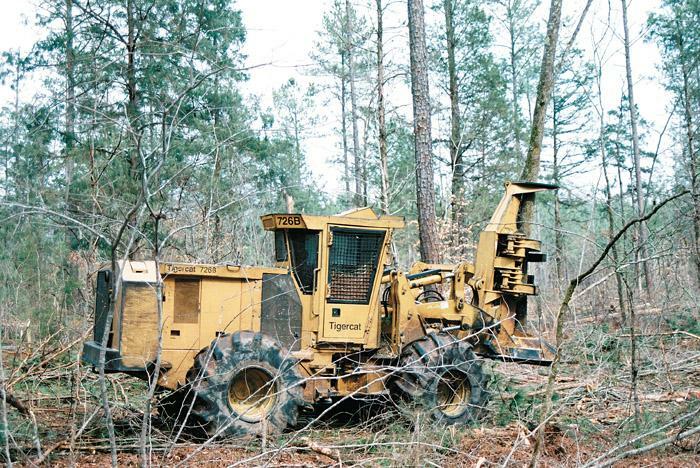 In recent years the owner of Harmon Pulpwood has specialized in turning the tide on out-of-control cost increases. Despite the challenges of rising fuel, insurance and equipment costs, Harmon notes he has always managed to not only pay his bills, but to pay them on time. Gary Montgomery, a partner with N.L. Montgomery & Son Sawmill, Inc., has been doing more sitting than he’d like lately. A Certified Master Logger (through the Tennessee For­estry Assn. ), the 49-year-old Montgomery, who runs a small logging operation in conjunction with a long-running family sawmill, can be somewhat flexible in his operations, but the weather is starting to get to him. 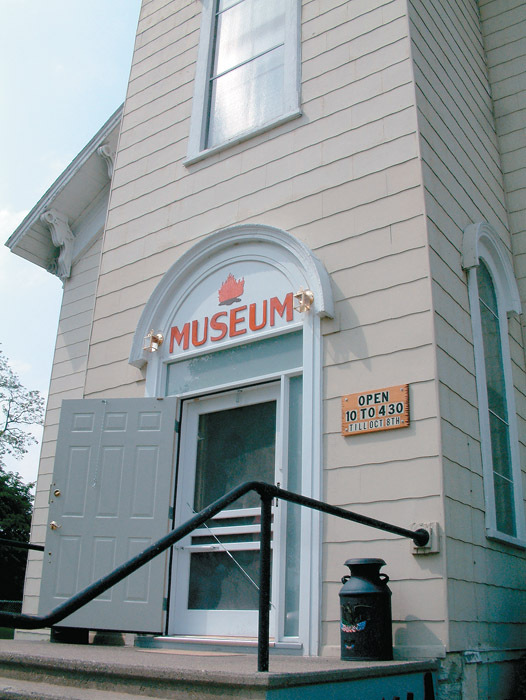 October 8, 1871 is a date forever burned in our country’s history. The great Chicago fire would last for the better part of two days and nights, destroying a path through the city four miles long and three-quarters of a mile wide. Every month, I watch my fiance, Will Chapman, sit down to read Southern Loggin' Times. I never really read the articles, I just looked at the pictures. Until recently, I never thought I would be reading them too. Will and I met six years ago at high school football game the same week he left for college. We dated all through the year and that summer, he started his internship. 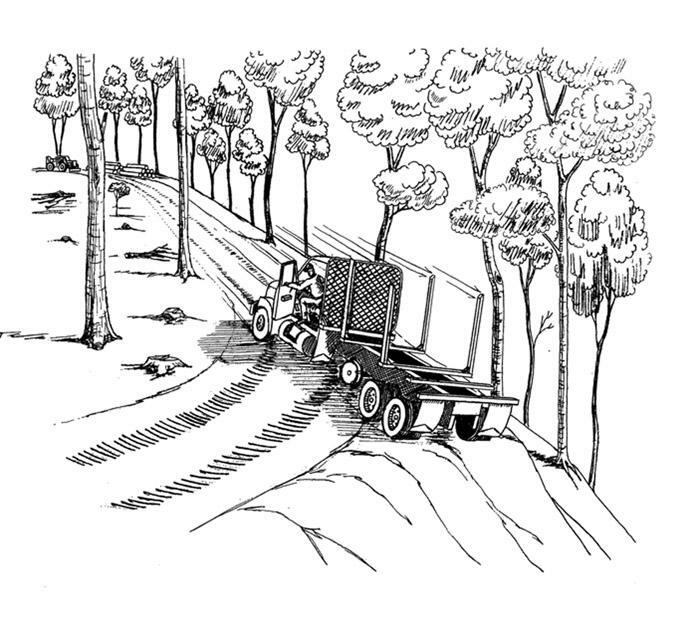 A truck driver had parked his empty tandem-axle log truck in a gas well road next to the landing on top of a mountain in the Appalachians. The truck was facing uphill on a steep grade. The crew had just finished eating lunch when a gas company worker drove up and asked them to move the log truck out of the road. 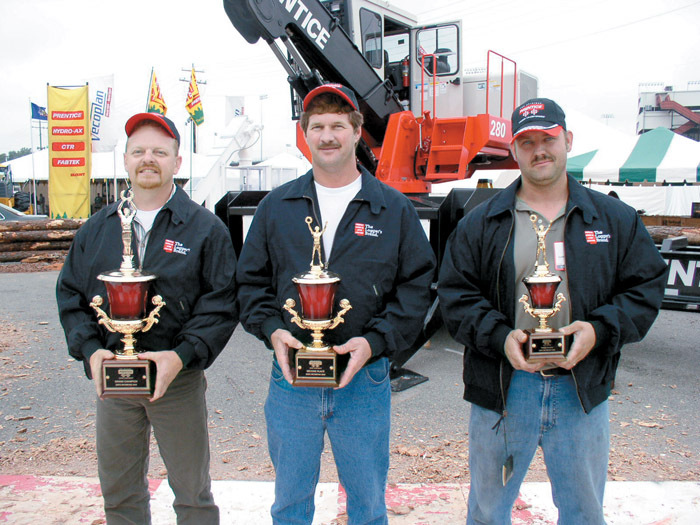 Blount held the Prentice Loader Championship at Expo Richmond 2004 in Richmond, Va., in June. This year’s contest machine was a Prentice 280 loader provided by Pioneer Machinery in Glen Allen, Va. One hundred twenty-two contestants competed in the two day contest.